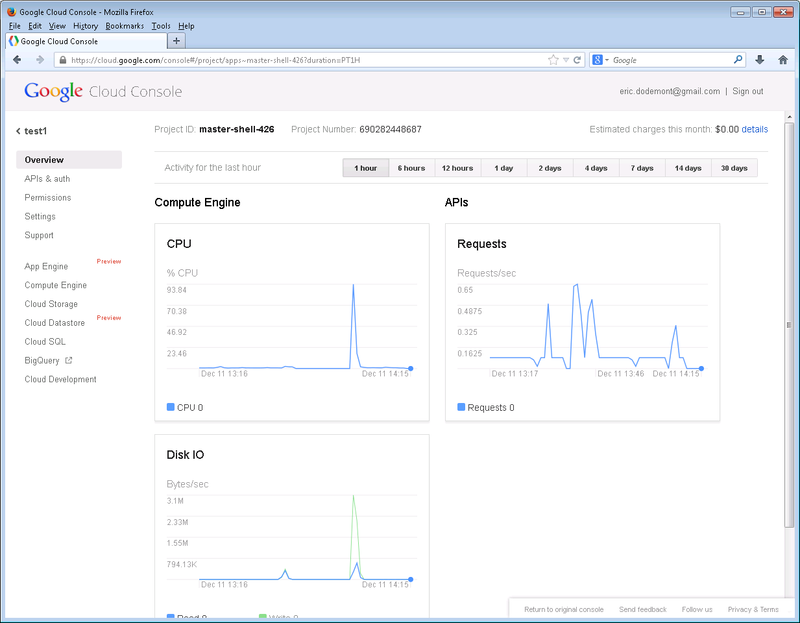 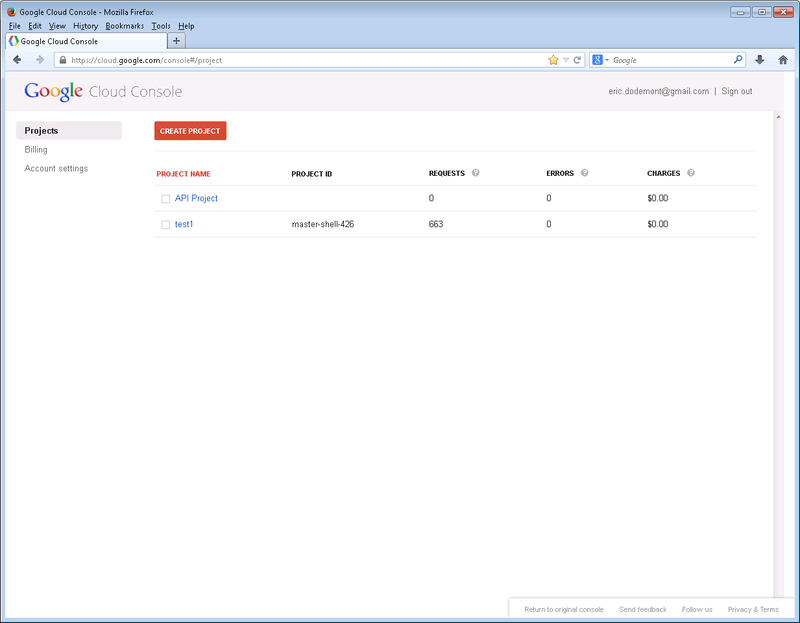 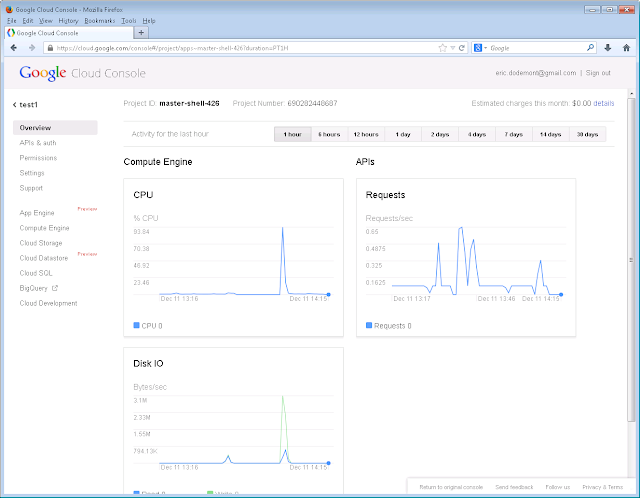 Dodeeric's Blog: My first VM instance on Google Cloud! My first VM instance on Google Cloud! 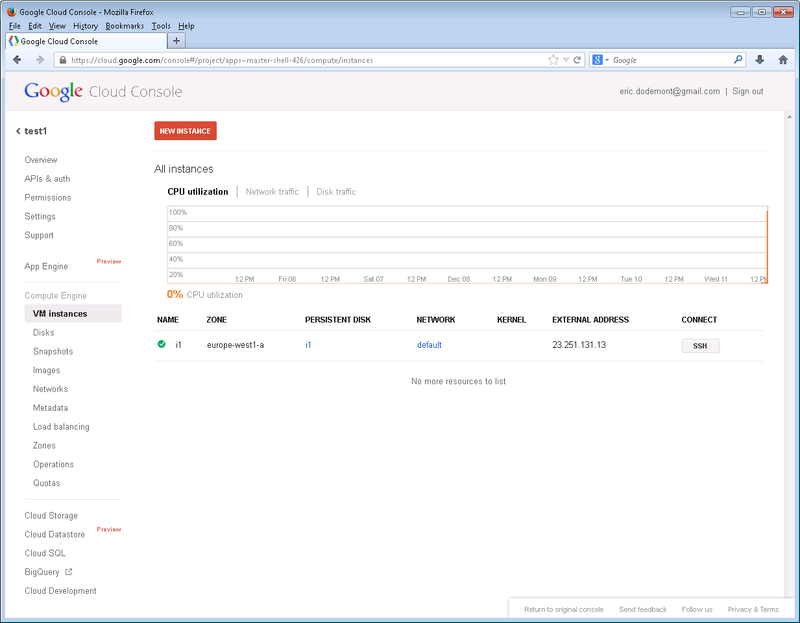 Google Cloud Engine is similar to Amazon AWS-EC2; Google Cloud Storage is similar to Amazon-S3. As hypervisor, EC2 uses Xen; GCE uses KVM. 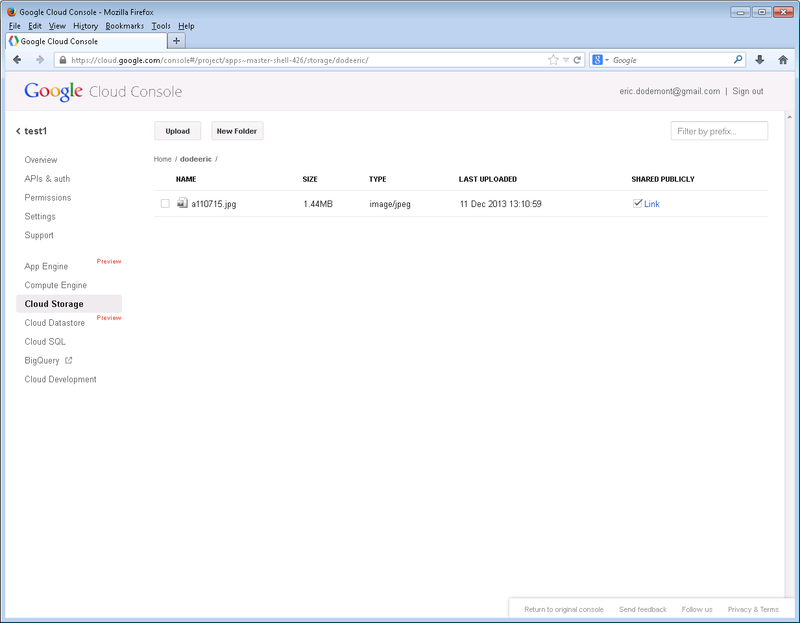 Both uses REST for the APIs. 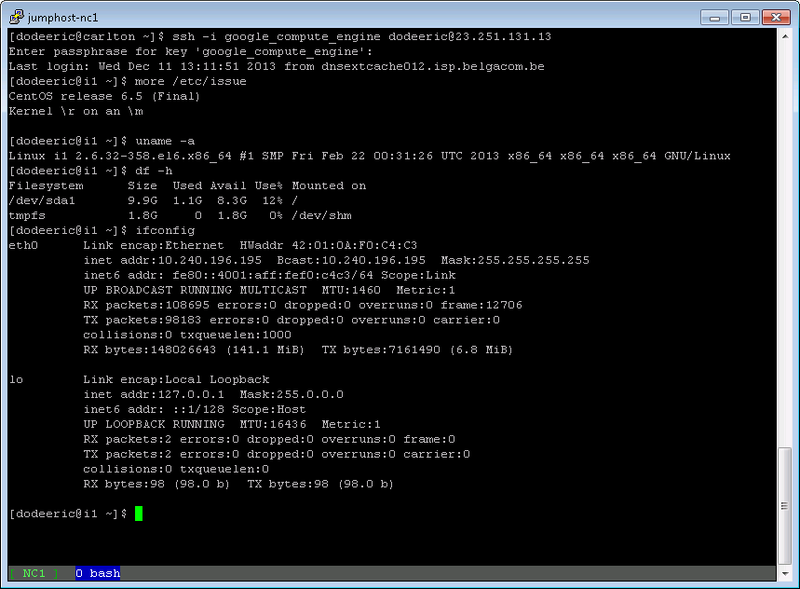 My test instance is called "i1" and the instance type is n1-standard-1 (1 vCPU, 3.75 GB RAM, 0.114 USD/hour if hosted in the Europe region which has two zones). 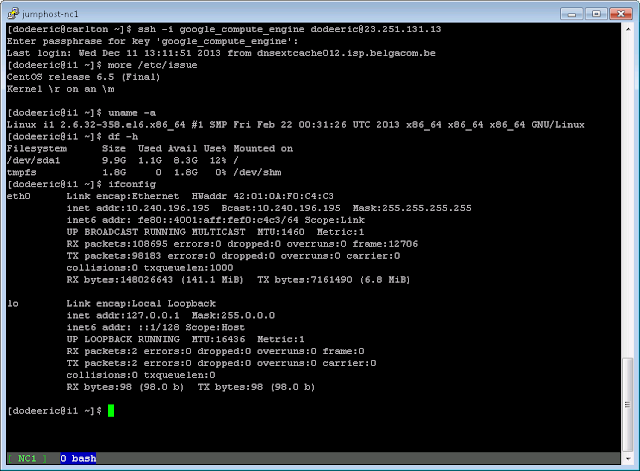 I run a CentOS 6.5 image provided by Google.